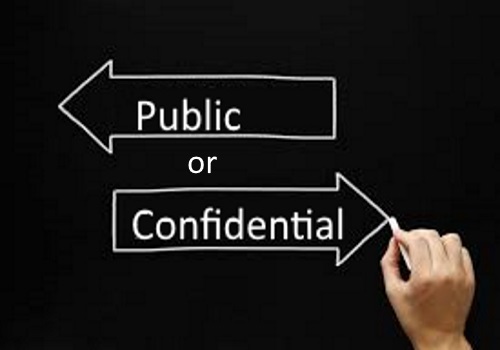 What is the difference between a public marriage license and a confidential marriage license. Which is better? So it’s time to get married and you have to make a choice of getting a confidential marriage license or a public marriage license. Let me break down the difference between the two so you can make an educated choice. First off both public and confidential marriage licenses have the same effect, you’re married! They’re both just as legal and enforceable for any use and need. A public marriage license requires one or two witnesses to sign the marriage license. The license is recorded and made a matter of public record. Once it’s recorded the couple can obtain copy of their marriage license. But also so can your friends, Family, employers, telemarketers, identity thieves. Since it is a matter of public record it is exactly that. A confidential marriage license requires no witnesses to sign. Only the Officiant and the couple who will be signing the document. The marriage license is recorded but is only accessible by the couple. No one else can go down to the county or do a record search and find that document. These days with identity theft issues and we recommend getting a confidential marriage license to my couples. The county clerks offices issue both the confidential and the public marriage license. Great Officiants has several specialized notaries on the team. They can issue marriage licenses to couples who are getting married anywhere in California. it can be delivered anywhere in the state or it can be issued at our Long Beach facility. To apply for your marriage license through us simply go to our marriage license application page. Click here now. If you have any questions feel free to give us a call at 562-435-4000.